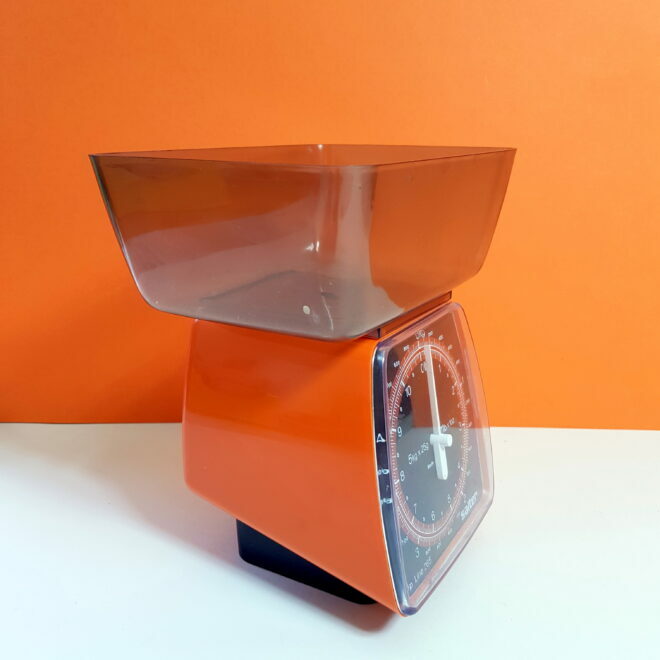 In perfect condition, this lovely Salter Fineline British kitchen scale dates back to the mid seventies. 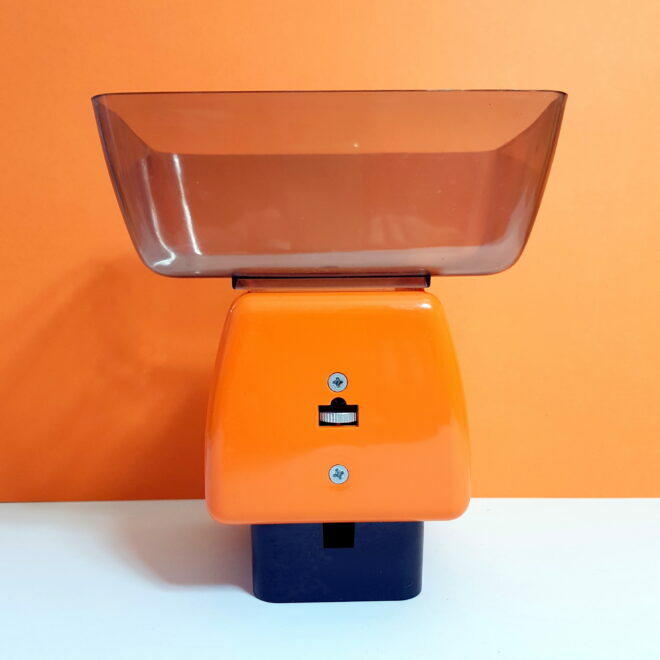 In a vibrant orange with a clear plastic weighing tray/container,they would look good in any kitchen, vintage or modern! 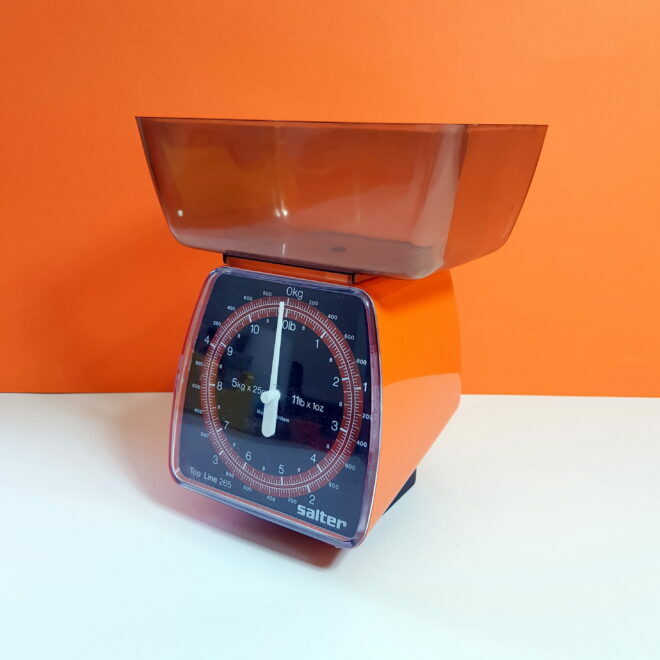 Fully working these scales weigh ingredients up to 5kg, or 11lb. There is an adjuster knob at the back of the scales for fine tuning. 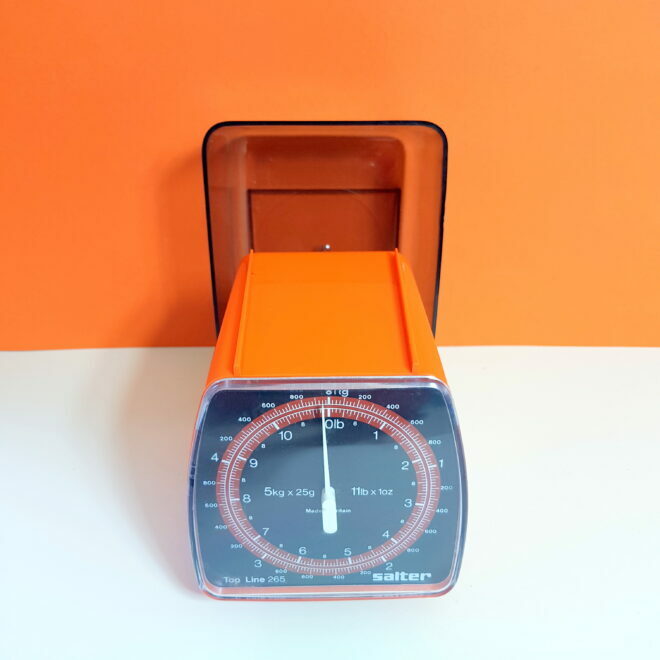 Superb little set of scales which also packs away smaller when not in use.